The final stage of work to open new highways and railroads linking the 2018 PyeongChang Olympic venues and major cities of South Korea is in full swing in order to provide the best and easiest way to get to and from the venues. 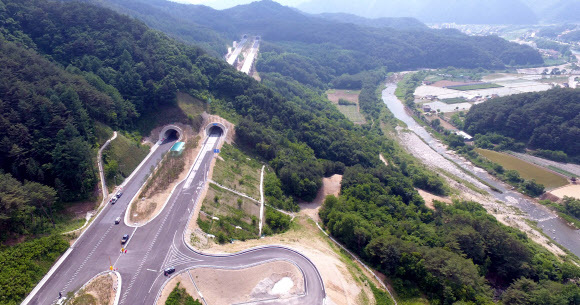 Dongseo expressway between East Hongcheon and Yangyang has been opened from June and shorten travelling time very much. Depending on traffic, it can take about 90 minutes only from Seoul to Yangyang! Test operation ongoing!🚆The high-speed trains(KTX), to open between Incheon International Airport and #Gangneung, will start operating in December 2017.It will take spectators from the airport to Gangneung in just 2 hours! Is there any information about what the KTX schedule or timetable will be? Thanks for your inquiry. Final schedule has not been fixed yet but it’s expected to operate for 16 times per day (Incheon Int’l Airport to Gangneung) and 35 times per day (Seoul to Gangneung). Please keep your eyes on update through KTO Malaysia Facebook page. Thank you.